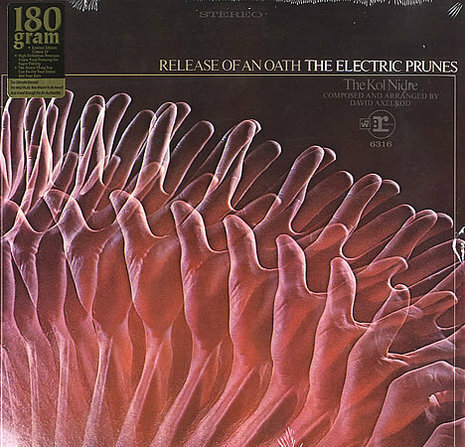 Release of An Oath is an album by the Electric Prunes. Following the musical pattern of their Mass in F Minor, it is a rock music setting of a service intended to release a penitent from an oath "made under duress and in violation of his principles" (liner notes). The album is subtitled "The Kol Nidre - a prayer of antiquity", and is often referred to simply as "The Kol Nidre". It should be noted that the Jewish Kol Nidre prayer, on which the first track is based, remains in current use as a central part of Jewish worship. Despite the subtitle and popular name, the remaining tracks of the album are based on Christian rather than Jewish liturgy.